The market is in a state of flux as participants try to get to grips with the recently revised PSD2. London, 6 October 2016 – While the digital revolution is already fundamentally transforming the European payments market like it is in other global markets, the political drive to create the so-called single market is specific to Europe. Payment services are seen as the “lubricating oil” to let this single market function smoothly, and the European Commission has issued the revised Payment Services Directive (PSD2) in an effort to realize the single market for payment services. But could PSD2 have an adverse impact on market practices and the consumer experience? 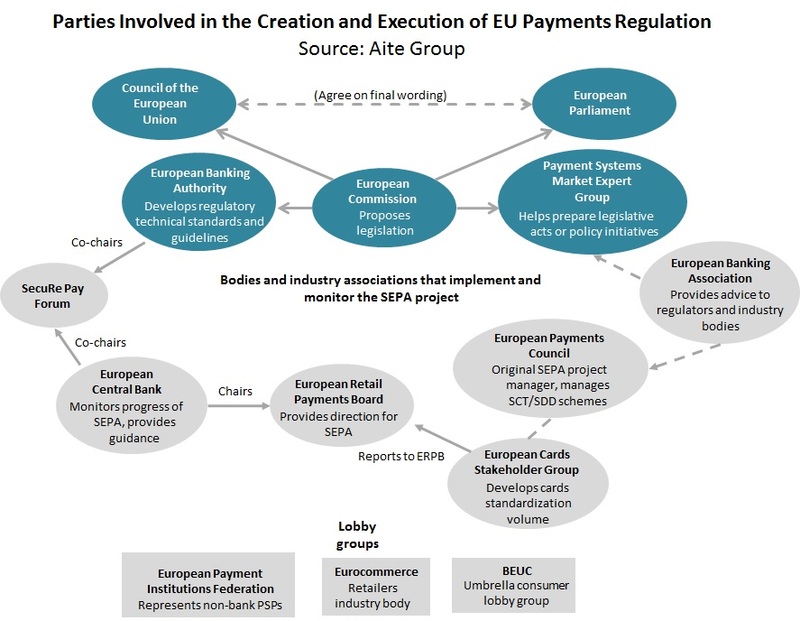 Based on interviews with executives from banks, card networks, other financial service providers, industry organizations, and consultant firms, this report overviews the changes in the regulatory framework and industry initiatives in the European Union. It outlines the market implications resulting from the different initiatives for banks, third-party providers, and merchants. This 35-page Impact Report contains four figures and two tables. Clients of Aite Group’s Retail Banking & Payments service can download this report, the corresponding charts, and the Executive Impact Deck. This report mentions the Euro Banking Association (EBA), Klarna, Sofort, STET, and Trustly.